The last thing a hospital, doctor's office or other healthcare building wants to give patients is an uncomfortable environment. The clinical atmosphere of sterile color schemes and the sharp scent of sanitizer is enough to make anyone feel stressed and anxious. Building design professionals can work to alleviate this stress and anxiety. They have an opportunity — and a responsibility — to make visitors and patients more relaxed in healthcare facilities and dispel the feelings of trepidation, unease and fear that so many people associate with hospital lobbies and waiting rooms. We'll detail the strategies designers and architects have implemented to change perceptions of the healthcare space. As we touch on five design elements for the industry, aspiring architects and design enthusiasts should take note of the techniques professionals have used to such incredible effect. Treatments for cancer and other severe illnesses take a substantial toll on a patient's physical and mental health. When undergoing radiation therapy, cancer patients are often worried about the future, and the stress they feel is counterintuitive to the healing process. The Kraemer Radiation Oncology Center in Anaheim, California, accounts for this dilemma. Through design choices that incorporate the surrounding environment, their team developed a facility that allows for a soothing, nature-oriented experience. 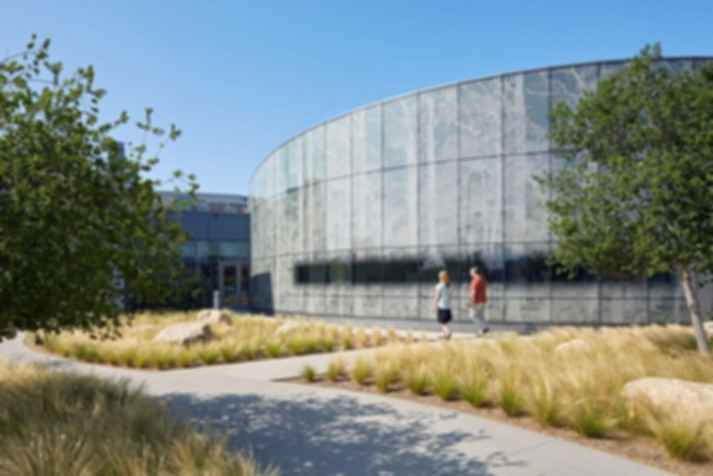 They integrated natural light, organic forms, outdoor views and calming interior colors, as well as vibrant living wall gardens that are visible from treatment areas. Gene Klow, a celebrated architect with more than 35 years of experience in healthcare design and construction, simplified the subject in a statement that gets at the heart of his industry: "The aesthetics set the mood for the way people experience the building." Changes in contemporary hospital rooms reflect his mentality. A growing number of facilities are beginning to support spaces that make patients feel more at home. 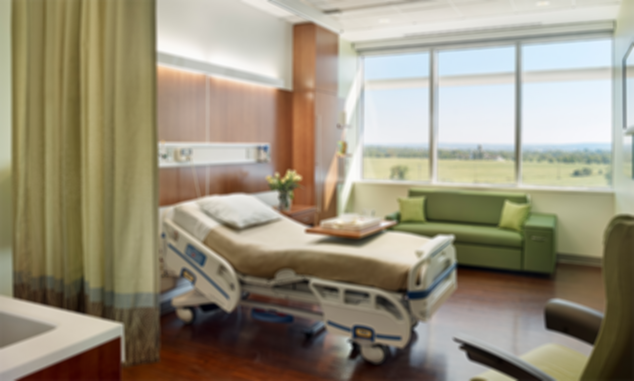 Bedside furniture, headboards and natural light all contribute to patient comfort, replacing institutional standards of basic, utilitarian rooms. Studies show these modern design elements have a positive effect on rehabilitation, as well. Visiting a loved one in the hospital is emotionally demanding, and sitting upright in an uncomfortable chair for hours at a time does little to alleviate a family member's anxiety. Certain facilities have made the healthcare experience more accommodating, not only for patients but their visitors, as well. Within the limitations of a hospital room, multipurpose furniture takes full advantage of the available space. Family members can enjoy sleeper sofas and tables that allow them to stay and support their loved ones, using the more functional aspects of the furniture to go about their daily activities. Some non-profit healthcare facilities need to blend old and new. The faith-based Katallasso Family Health Center in York, Pennsylvania provides an excellent example of retrofitting classic buildings for the needs of a community. Patients both underinsured and uninsured are serviced by this center, and the design reflects this philosophy. 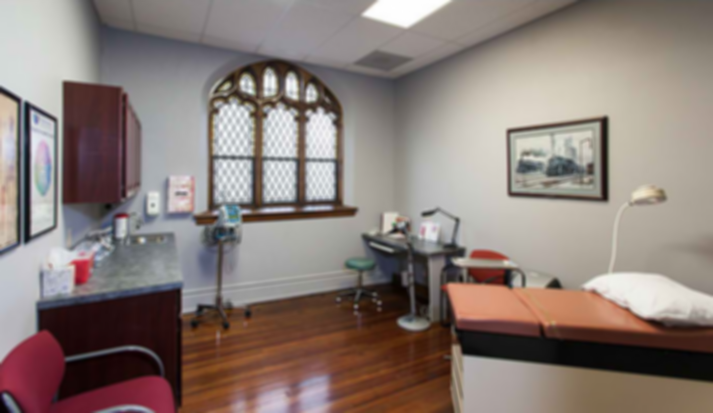 Architects renovated a church with an ADA-accessible entrance, waiting room, nurse's station, support offices and exam rooms. Throughout the development process, they maintained the existing architectural integrity of the building and its significance, mixing the classic aesthetic of a church with the needs of a modern healthcare facility. 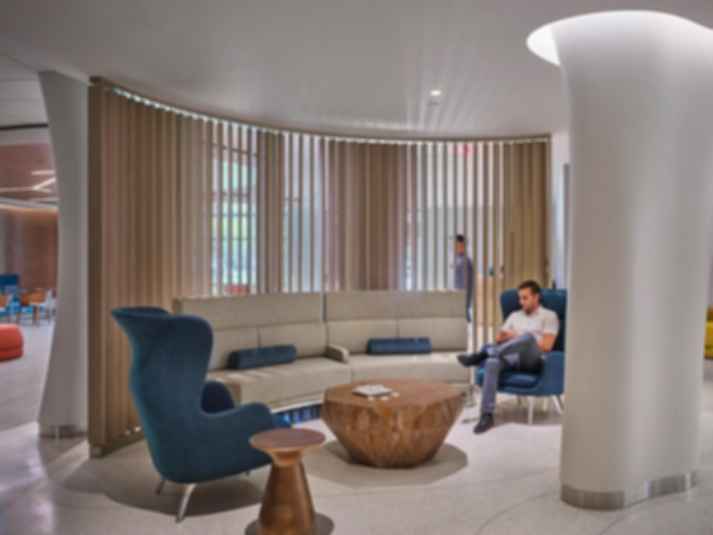 The design team at the MSK Regional Ambulatory Cancer Center had a challenge ahead of them when converting a 1950's office building into a state-of-the-art facility. The dated brick and metal paneling and large floor plates made it difficult to bring the outdated structure into the 21st century. Despite these obstacles, the team went above and beyond, implementing healthy-building initiatives that substituted PVC products with green alternatives. 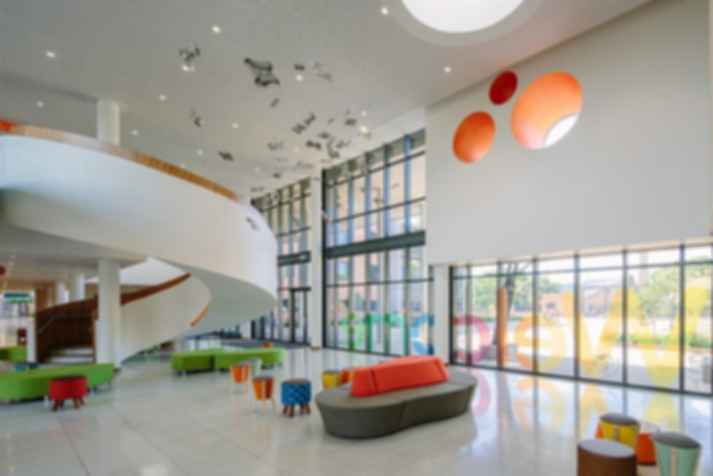 Having achieved both LEED Gold certification and the AIA National Healthcare Design Award, the team shows us the possibilities of focusing on sustainable design. The architects, designers and builders of the future can make a difference in visitor and patient perception, implementing some of the elements detailed above to improve the healthcare experience. All it takes is a progressive mindset and a little ingenuity.